The explosion killed 19 people and injured around 59. 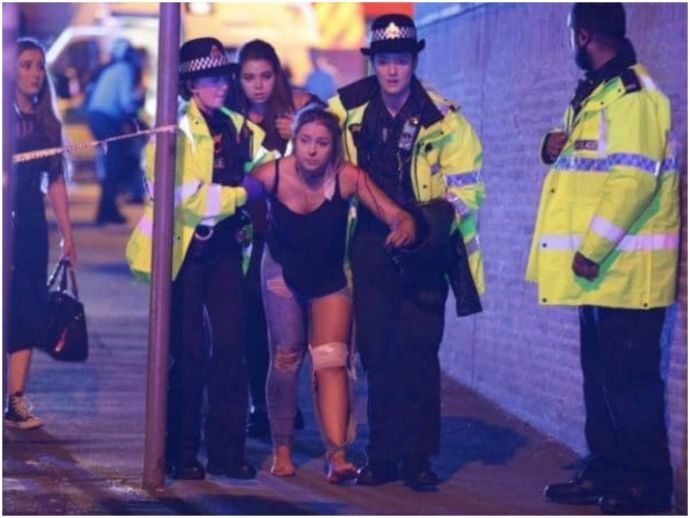 In what two US officials said was a suspected suicide bombing, at least 19 people were killed and around 59 wounded in a blast at the end of a concert by US singer Ariana Grande in the city of Manchester, England on Monday. Grande, who was not hurt in the explosion, took to Twitter five hours after the incident to express her grief by posting that she was ‘broken’ by the news of casualties. Musicians and world leaders including PM Narendra Modi also took to the social networking site to express the horror at the events. Canadians are shocked by the news of the horrific attack in Manchester tonight. Please keep the victims & their families in your thoughts. Heartbreaking news from Manchester. My thoughts are with all those who have lost loved ones or been injured in this barbaric attack. My thoughts, prayers and tears for all those affected by the Manchester tragedy tonight. I'm sending all my love. British Prime Minister Theresa May said that the incident was being treated as a terrorist attack. If confirmed as a terrorist attack, this incident would be the most destructive militant assault in Britain since four British Muslims killed 52 people in suicide bombings on London's transport system in July 2005. Theresa May will chair a meeting of the government’s emergency Cobra committee on Tuesday morning.